In this guest blog Christina Worsley from not-for-profit environmental charity Newground CIC writes about people's misconceptions about flood risk and how people can better protect themselves. Properties on a hill can still suffer flooding from surface water runoff, sewerage, groundwater and even a burst water pipe. I think every household should improve their individual flood resilience, just in case. Just because an area hasn’t flooded in recent times doesn't mean it won’t flood. 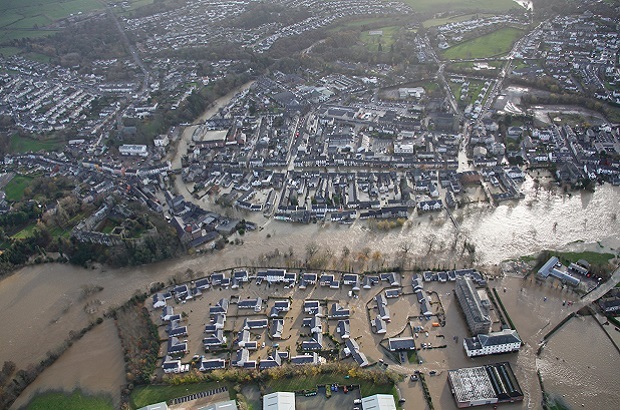 When Cockermouth flooded in 2005 and 2009 the previous flood event was 1966. Floods devastated Henley on Thames in 2014 and the previous flood event was 1947. Risk doesn’t decrease over time. 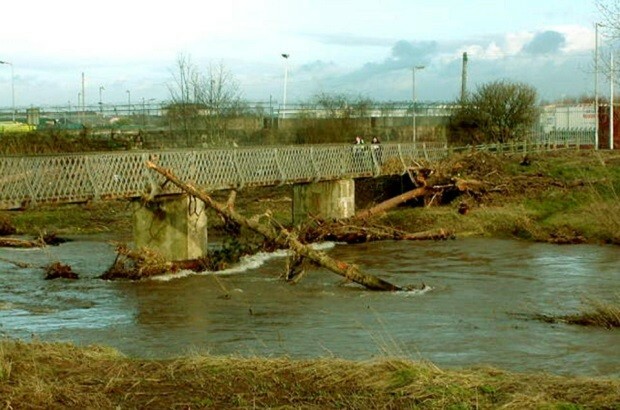 Rivers can often cope with large volumes of water, but extreme events are a reality, and it just takes one to cause flooding devastation in a community. For example, the river level at Ribchester, Lancashire is typically between 0.15m and 3.9m but the highest recorded river level is 5.34m. In Carlisle the typical level is 0.63m -3.45m and the highest recorded is 7.23m. Flash floods can happen at any time of year. They can be severe in summer especially, when the ground is baked and hard and this increases the run off of water. Boscastle experienced severe flooding in August 2004 when very heavy rain fell from storms close to the village, causing two rivers to burst their banks. About two billion litres of water then rushed down the valley straight into Boscastle. Residents had little time to react. Cars were swept out to sea, buildings were badly damaged and people had to act quickly to survive. Fortunately, nobody died - thanks largely to a huge rescue operation involving helicopters - but there was millions of pounds worth of damage and lasting impacts on people of Boscastle. Still think you won’t flood? Create a flood plan: what would you do in an emergency? Would you know how to turn off your mains power and water? Where are your insurance documents? Do you have emergency phone numbers? All these questions and more can be thought about well in advance, and written in a simple plan. Having all that information in one place will really help you focus and prioritise your actions in the panic that a flood can cause. Get involved in your community: when people come together in an emergency situation, it can really help those who are experiencing flooding. Having a community flood plan can mean a faster, more effective response. Have a look at the Environment Agency’s guide to getting started and speak to your neighbours. Move what you can now: don’t wait for a flood to happen to start moving things. Keep precious and treasured items on high shelves or upstairs. Keep your insurance documents in a waterproof wallet somewhere they won’t get wet. If you’re a business consider what’s at ground level – things such as stock could be moved higher up. Some actions now could save you thousands of pounds worth of damage. Check your insurance: make sure that you’re covered in case of a flood.